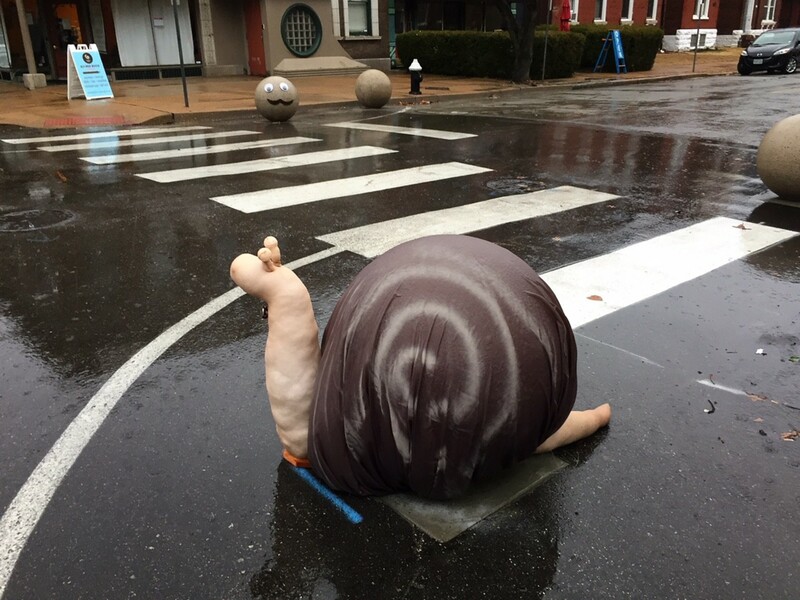 Someone has been touching the biggest balls in the 6th Ward, and it's given us a snail trail. 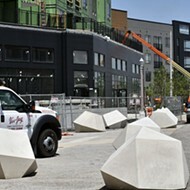 That's right; the large concrete spheres along Compton Avenue have been decorated again. 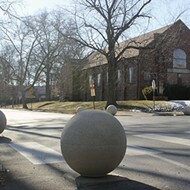 These globes arrived on the street last December in an attempt to slow down traffic in this residential area. Nicknamed "Slay Balls" after former mayor Francis Slay (as well as "Ingrassia Balls" after the alderwoman whose ward funds paid for them), the traffic-calming devices have caused endless commentary since their installation. 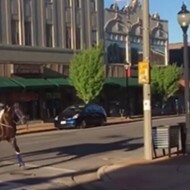 Some say the balls are mostly just in the way and cause even more issues at these intersections; others say the fact they keep getting hit (hard enough in some cases to knock them loose) shows just how much they're needed. But no matter how you feel about them traffic-wise, you can't deny they've been a source of artistic inspiration. 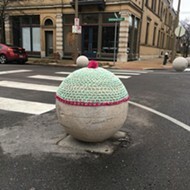 One ball received a crochet hat, prompting comparisons to Eric Cartman from South Park. One ball got some googly eyes and a mustache. And now one lucky ball was selected to become a snail. He's a dapper snail at that — check out his little bow tie. 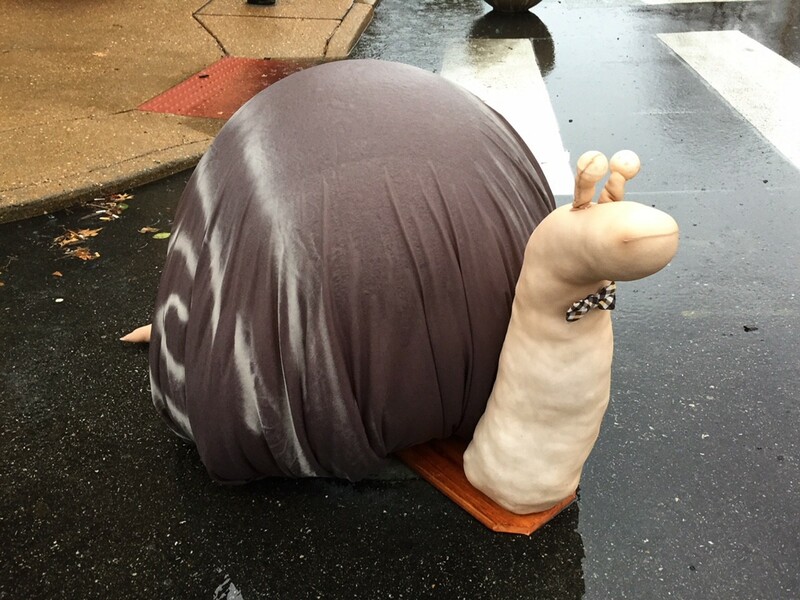 Monsieur Escargot will likely not be the last objet d'art to snuggle up on these balls. If you see any more, let us know. Email the author at jaime.lees@riverfronttimes.com.